Michael Crews Development offers the best in San Diego real estate and is currently featuring several new homes in Escondido. You must tour these Escondido new homes and see their amazing neighborhoods! Current new home neighborhoods include El Norte Park, Center Stage, Gretna Green, Cityscape and Royal View. Each new neighborhood offers something great for San Diego real estate. 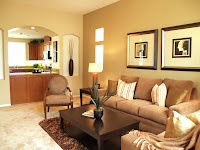 Escondido is a delightful community full of recreation, family and fun. Conveniently sprawled along the 15 and 78 Freeways, this city bustles with energy and promise. There is art. There is class. There are hiking trails, lakes and parks. There are stores, movie theaters, restaurants, pubs, and more. Don’t miss a trip to San Diego’s Wild Animal Park in Escondido’s San Pasqual Valley, or Cruising Grand which is held every Friday on Grand Avenue. It’s great for anyone – you don’t need to be a car enthusiast. And if you like what Escondido has to offer, perhaps you might consider living there, and Michael Crews Development has the perfect home!! Only five homes remain at the trendy Cityscape neighborhood located off Escondido’s Midway Drive and Grand Avenue. These row-homes offer 2,071 square feet of elegance and style. Each home has 4 bedrooms (optional den), 2.5 bathrooms, and a 2-car garage. Don’t miss out on your chance to own one of these incredible homes! Michael Crews Development is currently offering rebuilding assistance for victims of the 2007 Firestorm. If you and your family have been affected, please call Michael Crews personally on his cell phone at 760-535-8661.